(CNN) Two grand slam titles, the world No. 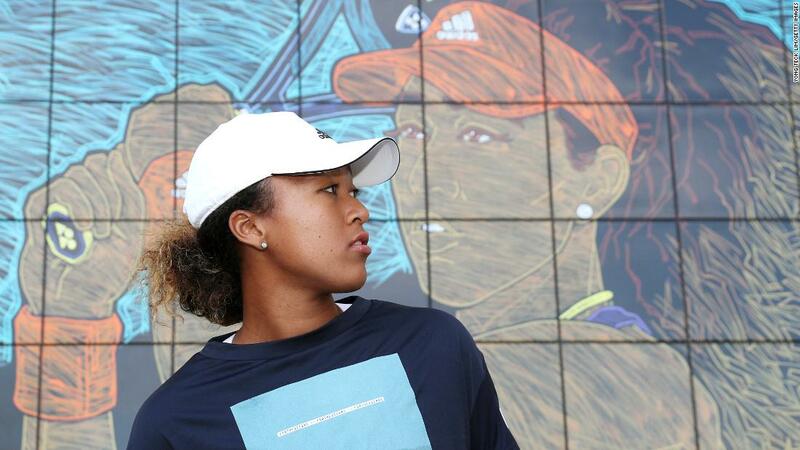 1 spot and now Naomi Osaka has been honored by Barbie. The announcement that Osaka is to be celebrated with her own doll comes as toy manufacturer Mattel marks the 60th birthday of the iconic brand, while Friday, March 8 is also International Women’s Day. Osaka, whose mother is Japanese and father is from Haiti, tweeted earlier this week about her pride at being viewed as an influential female figure to young children. She said: “Recently a lot of parents have been coming up to me and telling me that their kids look up to me, those words literally blew me away. I was honestly so shocked and felt this huge responsibility because I remember how important my role models are. Osaka is not alone in having her inspiring efforts celebrated by Barbie. Kristina Vogel, the Olympic gold medal-winning cyclist who was paralyzed after severing her spinal cord in a serious crash in June 2018, has also been commemorated, with her doll sitting in a wheelchair. “I’m just so proud, to inspire young girls to dream big,” tweeted Vogel, who has turned her hand to politics and is preparing to stand for election in May in her home city of Erfurt. Her doll portrayal follows the preview of Barbie’s Fashionista range in February, which included a doll with a prosthetic leg, as well as one in a wheelchair. Tessa Virtue, the Canadian ice dancer — a five-time Olympic medalist, has also been honored, as has former New Zealand rugby union player Melodie Robinson, who now works as a prominent sports journalist. A dollar from every doll sold going towards the Dream Gap Project, a Mattel initiative focused on “level[ing] the playing field for girls. Previously, fencer Ibtihaj Muhammad, who wore a hijab while competing for the US at the 2016 Rio Olympics, snowboard champion Chloe Kim and boxer Nicola Adams have all been honored with their own dolls.